Is being good enough actually enough? With the Radeon VII, AMD finally has a card that can compete with NVIDIA's high-end gaming cards. That's pretty refreshing, especially considering that many of us weren't expecting a top-tier gaming GPU from AMD until Navi's release later this year. So how fast is the Radeon VII? Faster than the GeForce RTX 2070 in fact, but it's also retailing for slightly more at US$699. On NVIDIA's end, the GeForce RTX 2070 and 2080 cost US$599 and US$799 respectively, so the Radeon VII literally falls right smack in the middle. The price is illustrative of its performance as well, and the card put out numbers that fell between those two Turing cards for the most part. Honestly, this card isn't bad. It's just not very exciting or reassuring. Yes, it's based on a more advanced 7nm process, but that's not reflected in the power consumption numbers. Performance-wise, it's pretty impressive that it can go toe-to-toe with the GeForce RTX 2080 at times, but it also falls behind the GeForce RTX 2070 in other scenarios, including at the less demanding 1080p resolution. In other words, it feels inconsistent, where it's great sometimes, pretty good at others, and just meh the rest of the time. Furthermore, it produces quite a lot of heat and noise and only consumes slightly less power than the GeForce RTX 2080 Ti. On top of all that, there's the feeling that this is sort of a stop-gap measure from AMD. The company released the Radeon RX 590 late last year, which was basically an overclocked Radeon RX 580. 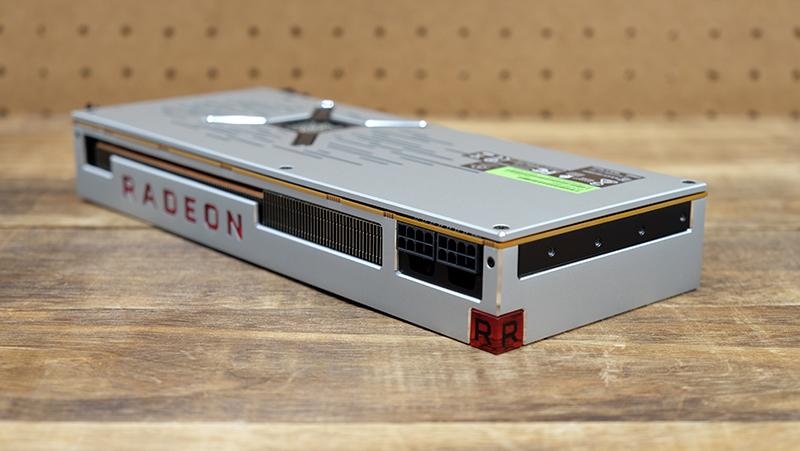 Now, it's announced the Radeon VII, a swanky new card that's the world's first 7nm GPU, but everyone's really just waiting for Navi. NVIDIA introduced some fancy ray-tracing technology with Turing, but the new Vega card isn't really bringing any new talking points to the table, except that AMD has now given us an alternative to Turing. That said, I can understand why AMD is doing this. It's probably in the company's interest to keep the conversation going and remind consumers that it's still a player in the graphics space, especially at the high-end. The Radeon VII is a capable card, especially at 4K resolutions, and despite its flaws and inconsistencies, it's nice that consumers now have more options to choose from.